The shared currency fell more than 70 pips yesterday, confirming a downside break of the rising channel. The repeated failure to close above 1.13 followed by the bullish channel breakdown indicates the path of least resistance is now to the downside and the recent lows near 1.1170 could soon come into play. The sell-off, however, may not happen today, as trading volumes will remain thin on account of the Good Friday holiday in major FX trading hubs in Europe and the US. The EUR/USD pair fell to 1.1225, its lowest for this week, as the latest Markit PMI confirmed that the sluggish growth in the Union has extended into the beginning of the second quarter, backing the case of ECB's stimulus. German manufacturing activity bounced modestly in March according to preliminary estimates, although the PMI remained in contraction territory at 44.5. The Services sector did a bit better, with the PMI surging to a 7-month high of 55.6, resulting in the Composite index improving to 52.1. Other countries such as France and Italy, did better-than-expected with the indexes bouncing, yet for the whole Union, German's soft figures weighed, with the Manufacturing index resulting in at 47.8 and the services one at 52.5, both missing the market's expectations. US data released ahead of Wall Street's open gave the pair another push lower, as Retail Sales were up by 1.6% MoM in March vs. the 0.9% forecasted. 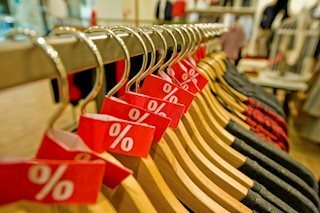 The Retail Sales Control Group increased by 1.0% against the market's expectations of a 0.4% advance. The US also released unemployment claims, which decreased to 193 K vs. the expected 205K in the week ended April 5, a new almost five-decade low. The April Philadelphia Fed Manufacturing Survey showed that business activity kept growing, although at a slower pace than anticipated, with the index printing 8.5 vs. 10.4 forecasted. However, the Markit April reports missed expectations, putting a temporal halt to the dollar's strength. The Manufacturing Index printed 52.4, matching the March figure, while the Services index declined to 52.9 from the previous 55.3. Two things dominated the financial world this 2018: political turmoil and fears of slowing economic growth. The first was quite foreseeable with Brexit and Trump´s victory in the US but the second dawned on markets like a cold shower in the second half of the year. It was not far ago when EU's growth hit record highs, according to Markit, with business activity shrinking to its lowest pace of growth in over four years in December. Mario Draghi is member of ECB's Executive Board and also the President of this organism. His declarations are an important source of volatility, especially for the Euro and the currencies traded against it. Born in 1947 in Rome, Italy, he graduated of the Massachusetts Institute of Technology and became President of the European Central Bank in 2011. Draghi gives press conferences in the back of how the ECB observes the current European economy. His comments may determine positive or negative trends for the Euro in the short-term. Usually, a hawkish outlook is seen as positive/bullish for the EUR, while a dovish one is seen as negative/bearish. The EUR/USD (or Euro Dollar) currency pair belongs to the group of 'Majors', a way to mention the most important pairs in the world. This group also includes the following currency pairs: GBP/USD, USD/JPY, AUD/USD, USD/CHF, NZD/USD and USD/CAD. The popularity is due to the fact that it gathers two main economies: the European and American (from United States of America) ones. This is a widely traded currency pair where the Euro is the base currency and the US Dollar is the counter currency. Since the EUR/USD pair consists of more than half of all the trading volume worldwide in the Forex Market, it is almost impossible for a gap to appear, let alone a consequent breakaway gap in the opposite direction. Normally, it is very quiet during the Asian session because economic data that affects the fundamentals of those currencies is released in either the European or U.S. session. Once traders in Europe get to their desks a flurry of activity hits the tape as they start filling customer orders and jockey for positions. At noon activity slows down as traders step out for lunch and then picks back up again as the U.S. comes online. If there is important U.S. data we can expect quiet markets just ahead of the number. U.S. economic news have the ability to either reinforce an existing trend or reverse it depending on by how much it missed or beat expectations with the EUR/USD news. By 5:00 GMT liquidity leaves the market once again as European traders close out positions and head home. The USD/JPY (or US Dollar Japanese Yen) currency pair is one of the 'Majors', the most important pairs in the world. Japanese Yen has a low interest rate, normally used in carry trades, that's why is one of the most trades currencies worldwide. In the USD/JPY the US Dollar is the base currency and the Japanese Yen is the counter currency. The pair represents American (from United States of America) and Japanese economies. Trading the USD/JPY currency pair is also known as trading the "ninja" or the "gopher", although this last name is more frequently used when reffered to the GBP/JPY currency pair. The US Dollar Japanese Yen usually has a positive correlation with the following two pairs: USD/CHF and USD/CAD. The nature of this correlation is dued to the fact that both currency pairs also use the US Dollar as the base currency, such as USD/JPY. The value of the pair tends to be affected when the two main central banks of each country, the Bank of Japan (BoJ) and the Federal Reserve Bank (Fed), face serious interest rate differential.